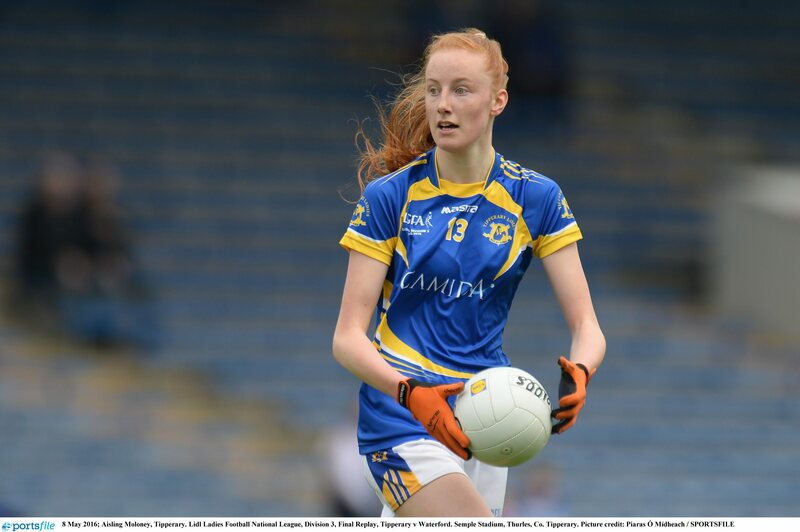 The DCU GAA Ladies football team hammered Athlone IT away on Tuesday night in the Division One Football semi-final, with an impressive tally of 5-26 to Athlone IT’s 2-7. DCU were dominant throughout the match, and the forward line found it easy to break down AIT’s defence. DCU Captain Aishling Moloney told The College View that she was happy with the win but that it was unexpected. Moloney, who also stars for her county Tipperary, said that all of the focus is now on the final. Goals from Aisling Sheridan, Sarah Rowe, Muireann Atkinson and Éabha Rutledge helped secured the side’s win. Moloney said DCU are a young and eager side who have developed over the last few months and is wary going into the final against the University of Limerick (UL), who she said are the team to beat. “They are the hardest team in the competition as it comes,” she added. There is a great rivalry between DCU and UL, Moloney said. UL have had great success in the last number of years and have captured the O’Connor Cup three times in the past four seasons. DCU lost to UL by only one point in the league in October, so Moloney said they are hopeful they will be able to compete with UL again in the final. In March, DCU lost to UL in the O’Connor Cup semi-final by four points – a loss that still resonated with Moloney when she spoke with The College View in September – so there’s no doubt the ladies are motivated for the final. “Our ambitions for this year would be to make up for the O’Connor Cup loss and challenge for it this year,” she said. DCU have had their share of successes, winning the Division One league in 2015. Peter Clarke returned as manager this year, looking to recreate the success of his O’Connor Cup winning sides that won three-in-a-row between 2009 and 2011. DCU ladies enjoyed a lot of success last year, including a Giles Cup victory and a fantastic performance from the Freshers’ side. With high-calibre players such as Rowe, who shone playing for Mayo in this year’s All Ireland Senior Ladies’ Football Championship, this could be a great season for DCU. The final against UL is Tuesday 28th November so the team don’t have much time to prepare, but Moloney’s focus is on her side’s hunger to win.